There are a selection of demanding par 3’s including the 4th hole which drops to an island green from a height of 40m, and the 200 yard, canyon-skirting 17th hole with a sloping, hidden green which was described as “one of the best par 3’s in golf”, by Fred Couples and voted one of the “Top 500 Best Holes in the World”. The signature 13th hole, nicknamed the Tiger Hole, is another dramatic encounter testing character at least as much as ability. A gaping canyon dropping off from the tee box requires an exceptional carry to set up your approach with the only alternative being to play away from the green, leaving a steep incline of 150 yards or more up to the green. With a plaque by the tee celebrating Tiger Woods driving the green, many a ball has been lost to the canyon depth as players try to copy him. The Lakes Course was established in 1999 and redesigned in 2006 and is now regarded by many as equally as good as it more well known neighbour. Similar in length to Blue Canyon, water comes into play on 17 holes but with 5 different tees to play from the Lakes can be enjoyed by golfers of any standard. During the renovation in 2006, cart paths were put in making this an attractive option for those golfers who prefer to ride rather than walk. 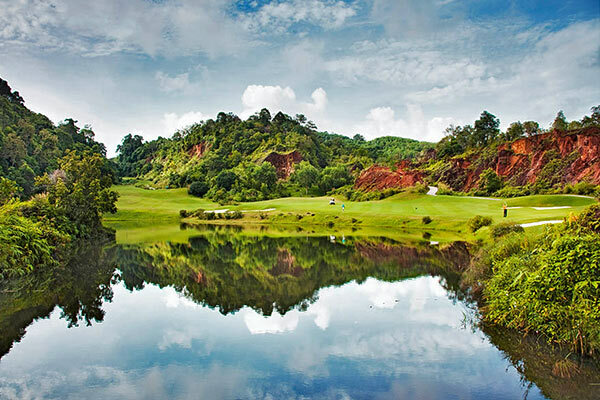 The first nine is played through freshwater lakes and old tin mine canyons and the back nine is played through the rubber trees finishing on what can only be described as the hardest 18th hole in Asia. A long par four, which even if you hit a great drive you are faced with nearly 200 yards uphill to a shallow green protected by a huge canyon. The clubhouse is shared by the Canyon course and the 32 room Spa Lodge is wonderful play to stay for those golfers wanting two great courses in luxurious surroundings. 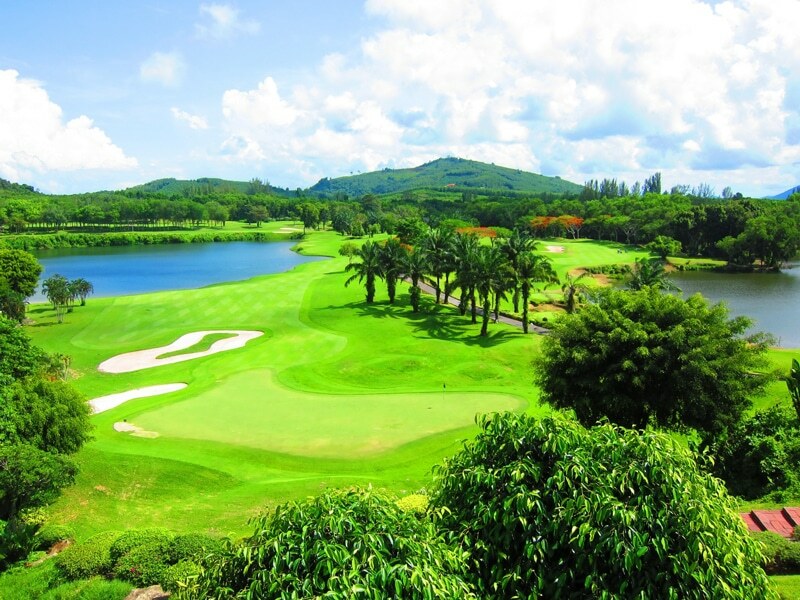 Laguna Golf Phuket is an 18-hole, par-71 golf course, set within the expansive Laguna Phuket Resort complex. Revamped and revitalized by architect Paul Jansen in 2014, Laguna Golf Phuket is an enjoyable yet truly challenging golf course that appeals to golf enthusiasts of all abilities. 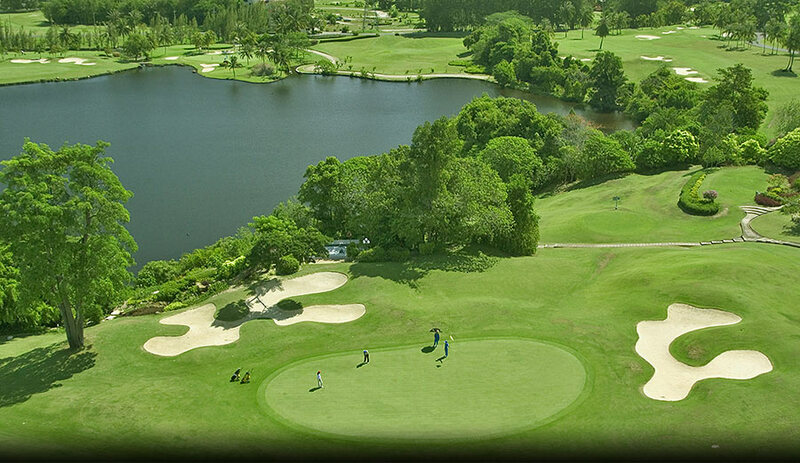 Measuring 6,756 yards, the course features a wealth of scenic lagoons, coconut groves and undulating fairways. 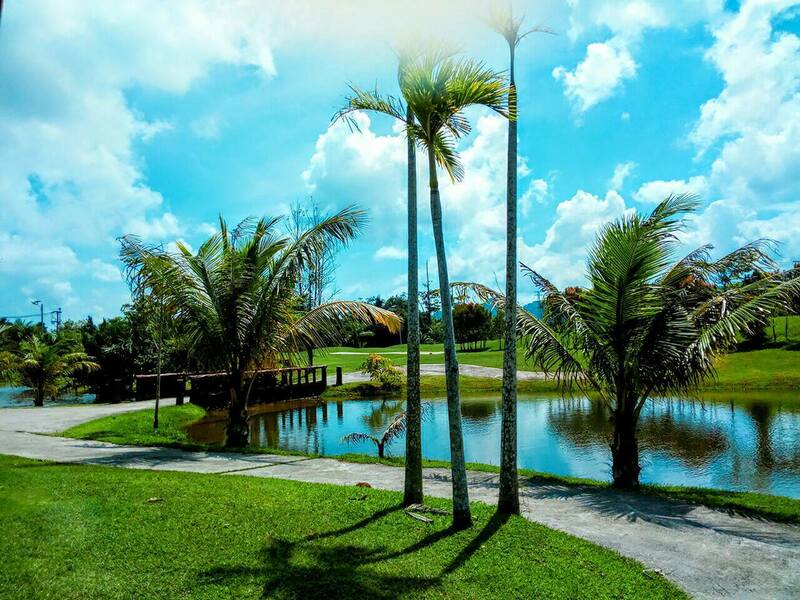 After its full reopening in January 2015, the new landscape provides golfers with two distinct scenic experiences – lush tropical foliage on the front nine, while the back holes feature coconut groves and sand bunkers. 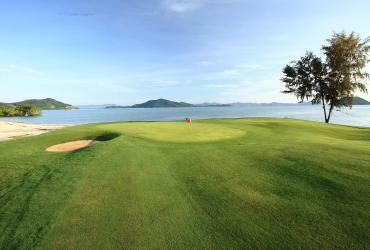 Laguna Phuket Golf Club also boasts six-time major winner Sir Nick Faldo as an official brand ambassador. The upgraded design focuses the golfer on position and strategy from the tee, with well placed bunkers and water hazards to consider. The USGA specification greens provide superb quality playing surfaces year round, with well designed contouring and run-off areas that offer a wealth of shot options. Undulating fairways meander through lagoons with native water grasses and habitats attracting an abundance of wildlife to the course. Many outstanding natural features can be found on site including large native Banyan Trees and natural water features. Reused wooden steps, golf course furniture and decorative traditional Thai fishing boats also create a uniquely Thai essence for the course. 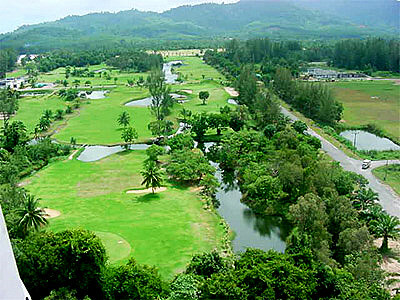 Established in 1989, Phuket Country Club was the first golf course on Phuket and the first in Southern Thailand of international standard and has hosted many national tournaments. The club’s ‘Old Course’, an 18 hole, par 72 course, is a firm favorite for the high handicappers, offering a challenging but rewarding game and some of the best golf they have ever played. Despite this, the course still manages to offer a comfortable challenge for the more experienced player when teeing off from the Championship tees over a tough but fun 6,484 yards. The 10th hole offers a particularly exciting challenge, being a par 5 which angles it’s way round a large lake with the chance of a hole in one for those with the skill and accuracy to carry true over the 240 yards of water. Routing it’s way through three scenic landscapes with 6 holes over undulating fairways, 6 holes on the level and 6 holes through shady forest, the layout of the course is as natural and relaxed as the atmosphere and staff. Mission Hills is the only course in Phuket on the sea front and such, it’s layout offers stunning vistas of the Andaman Sea from several holes. Hula Hula won’t compete with the big guns on Phuket Island, but for anyone golfer in Krabi, it’s an option to break up an otherwise pure beach holiday. The newest golf course on Phuket, Phunaka was really designed for golfers to learn the game on after the 56 bay driving range and short game area was opened. The reality has turned out quite different and is a very good test of golf even for low handicappers. Designed by Jon Morrow (same designer as Red Mountain) he has managed to create a links type course and at times you could be playing in Scotland. Located in the south of Phuket, it gets plenty of wind off the sea and with sand dunes and wild grasses it’s a real shot makers course. Six par threes on this 9 hole layout make it a great alternative if you fancy a quick round of golf. Floodlights are also in place, so night golf has arrived in Phuket.